During navratri vrat or any other Indian fasting days. 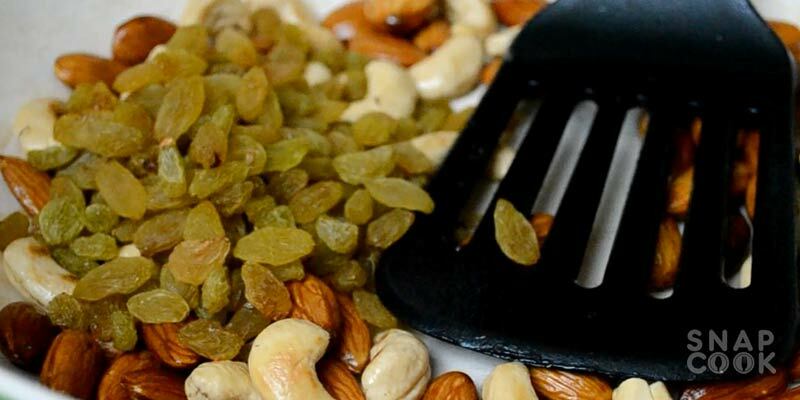 Dry fruit snacks or dry fruit namkeen can be your best diet for the day. 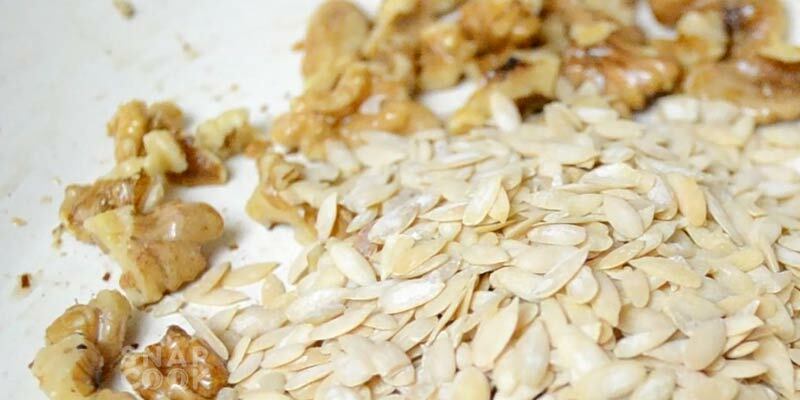 Dry fruits namkeen is very easy to make and you can customize it as per the availablity of the dry fruits in your region or season. Dry fruits namkeen in vart or fasting days is also a best take away option for office people or students and of course this vrat ki namkeen is so delicious and rich in flavors that you actually don’t need to wait for any fasting days to make it. 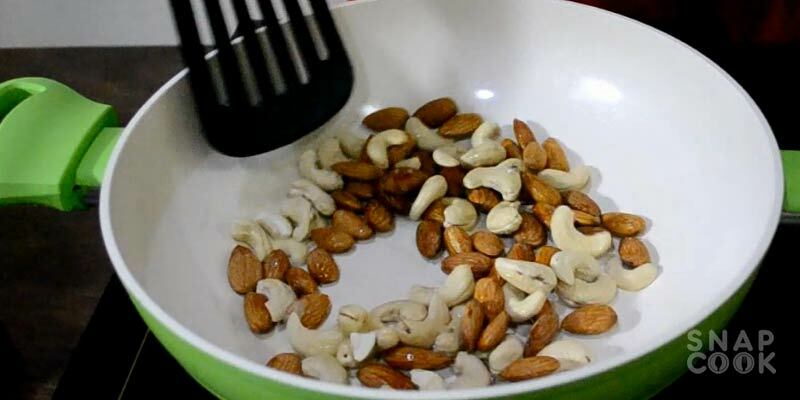 1 – Take 1/2 cup Almonds and cashew nuts and roast them in a pan with 1 Tbsp Ghee for 4 mins. 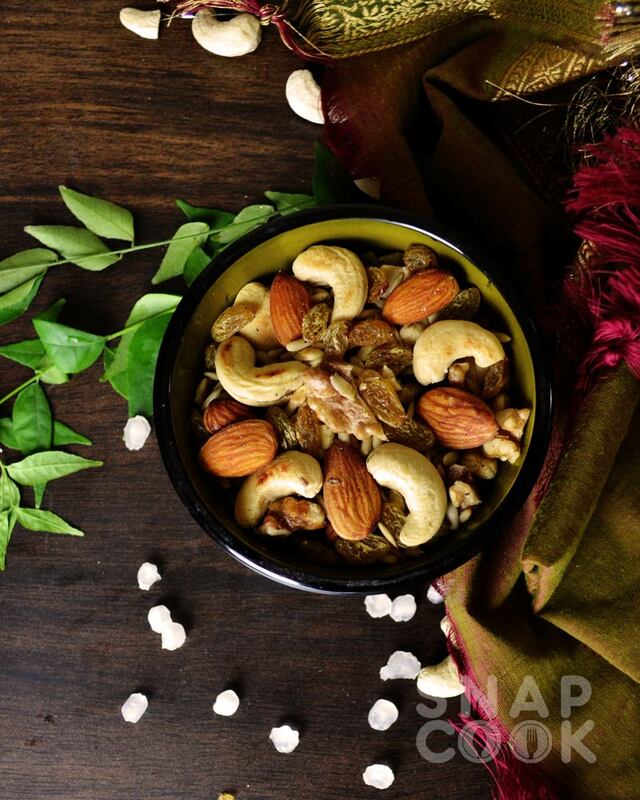 2 – Add 1/2 cup Kishmish/Raisins to the roasted almonds and cashews and roast the mixture for 2-3 mins more. 3 – Keep the roasted mixture aside and add 1/2 cup Akhrot/walnuts and 1/2 cup Kharbuje ke beej/musk melon seeds in the pan and roast it for 4 mins with 1/2 Tsp ghee. 4 – Mix all ingredients in a container with 1 Tsp Sendha Namak, 1/2 Tsp black pepper powder and mix them well. Our Dry fruits Vrat ki Namkeen is now ready. Serve it with tea / coffee or take it with your at your work and enjoy your Vrat day with super nutritive and dry fruit vrat ki namkeen. 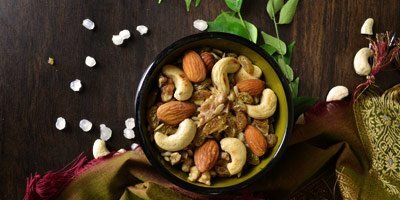 Dry fruits namkeen is very easy to make and you can customize it as per the availablity of the dry fruits in your region or season. Dry fruits namkeen in vart or fasting days is also a best take away option for office people or students. Cashew nuts – 1/2 Cup. Kishmish / Raisins – 1/2 cup. Akhrot / walnuts – 1/2 cup. Kharbuje ke beej / musk melon seeds – 1/2 cup. Take 1/2 cup Almonds and 1/2 cup cashew nuts and roast them in a pan with 1 Tbsp Ghee for 4 mins. Add 1/2 cup Kishmish/Raisins to the roasted almonds and cashews and roast the mixture for 2-3 mins more. Keep the roasted mixture aside. Add 1/2 cup Akhrot/walnuts and 1/2 cup Kharbuje ke beej/musk melon seeds in the pan and roast it for 4 mins with 1/2 Tsp ghee. Mix all ingredients in a container with 1 Tsp Sendha Namak, 1/2 Tsp black pepper powder and mix them well.